In Tick Tock Ten, the author provides readers with a truly unique insight into what it takes to complete one of the hardest sporting endurance challenges in the world- A DECA Iron Distance triathlon. Over ten days, competitors were required to swim 24 miles, cycle 1,160 miles and run 262 miles. This truly unique sports book offers readers a ringside seat and in-depth analysis of not just the authors experience but also the experience of five other competitors. 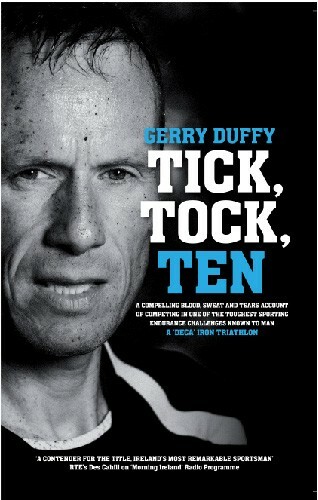 Tick Tock Ten was shortlisted for Irish Sports Book of the Year (2013). Exceptional read – got me off my arse.